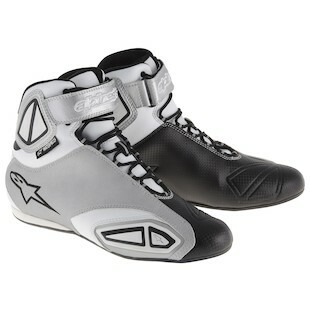 Joey Fastlane: The Name of Casual Footwear from Alpinestars! Do you ride a motorcycle? Do your feet get wet when it rains? Are you a man, OR a woman? If you answered yes to any of these questions, we have something special for you. 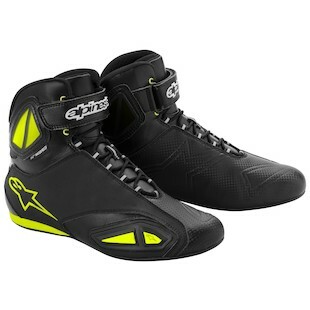 Welcome to Alpinestars’ waterproof street shoe lineup! 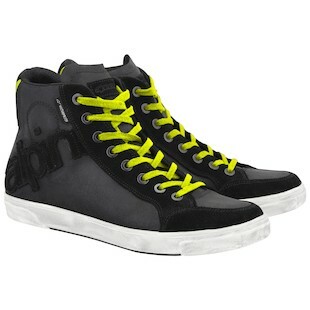 First in line are the Alpinestars Fastlane WP Shoes - an aggressive looking street shoe with F1 roots. The Hi-Viz accents really pop, making the Fastlane really stand out from the crowd. In case you couldn't tell "WP" stands for waterproof! Now ladies, please don’t get jealous. you'll also get to meet the Alpinestars Stella Fastlane WP Shoes - the same waterproof Fastlane, simply in a women’s cut with some exclusive colorways. Not enough to scream that these are ladies shoes, but just enough to set them apart from the rest. If technical shoes do not fall within your niche, but you need the waterproofing, the Alpinestars Joey WP Shoes are going to be your best bet. A subtle design from A*, the Joey shoes are vaguely designed after classic Chuck Taylors, only with some motorcycle geared protection, and like before, some Hi-Viz accents (Check out those laces!). 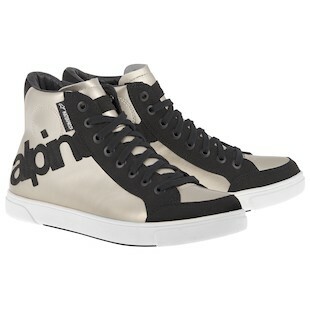 The Women's Alpinestars Josey WP Shoes are simply the ladies, or "Stella" model. There are not too many casual ladies boots out there, so I think Alpinestars really hit one out of the park with this design. Would I recommend these shoes for getting a knee down or cruising on the highway? Not quite. But for the city riders out there, these look like a great option to protect you, all while looking great off of the bike.